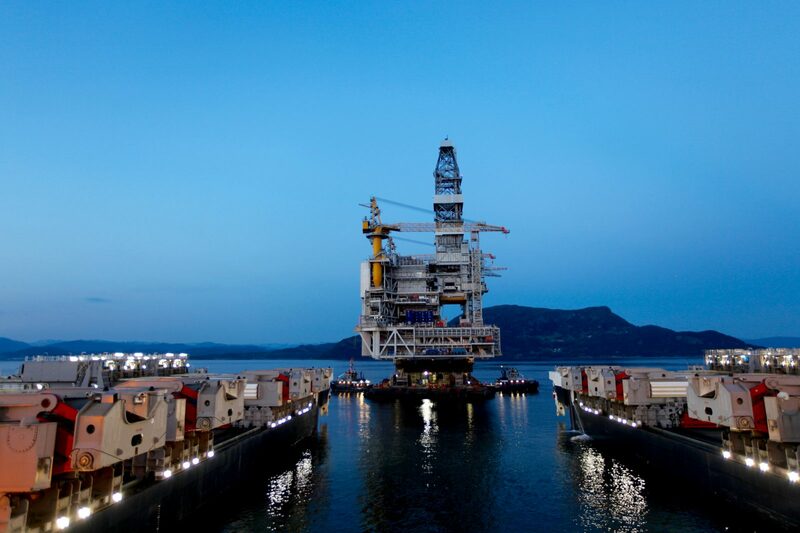 The emergence of Pioneering Spirit signifies a step-change in offshore installation and decommissioning. 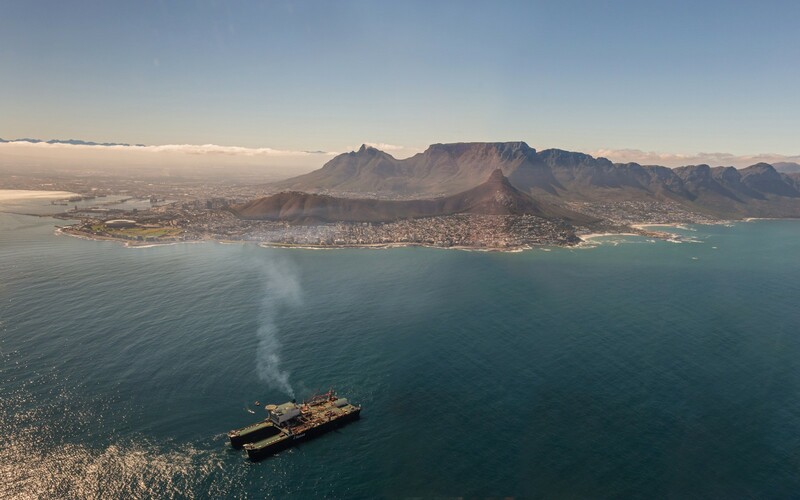 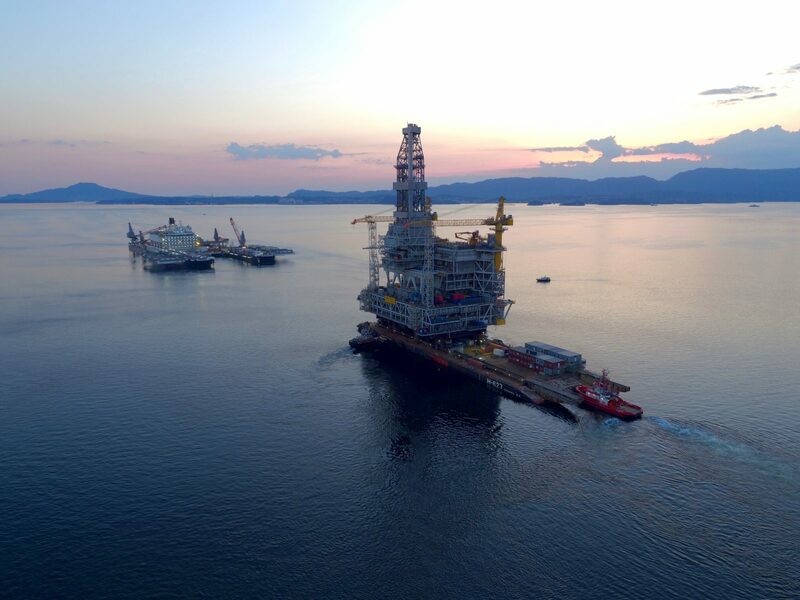 Capable of lifting entire platform topsides of up to 48,000 t and jackets up to 20,000 t in a single piece, she significantly reduces the amount of offshore work associated with installation and decommissioning, moving the work onshore where it is safer and more cost effective. 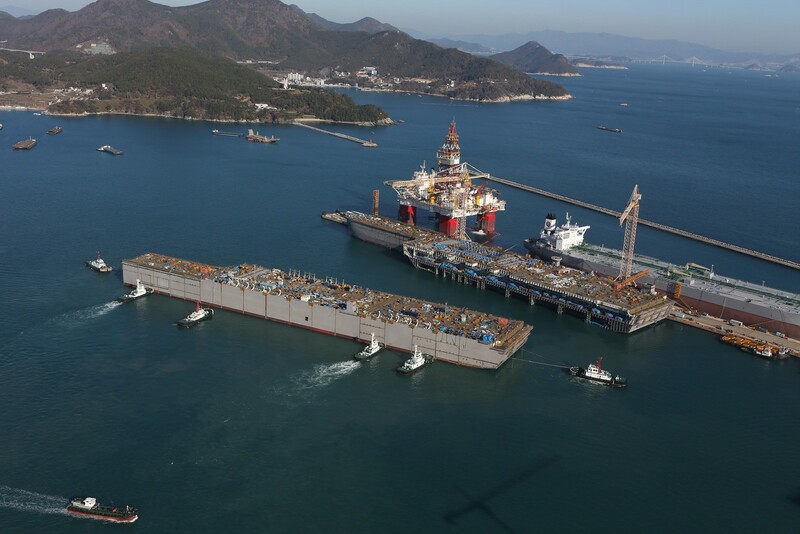 Built at the DSME shipyard in South Korea (2011–14), the vessel commenced offshore operations in 2016 with removal of the 13,500 t Yme production unit offshore Norway. 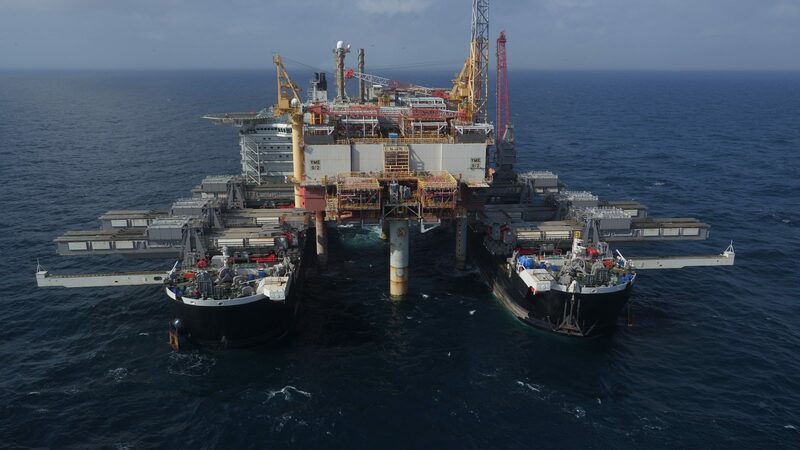 The vessel redefined heavy lifting with the single-lift removal of Shell’s iconic 24,000 t Brent Delta platform topsides from the North Sea in April 2017 - a world record for an offshore lift. 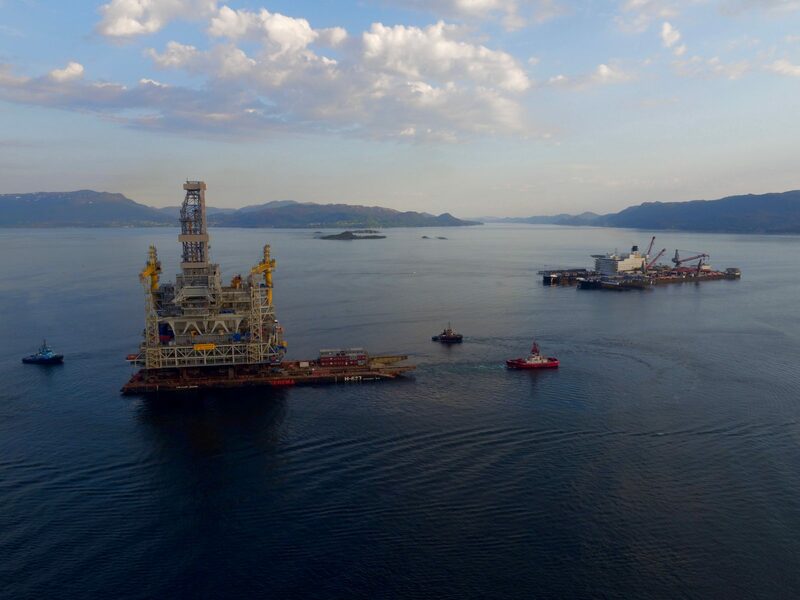 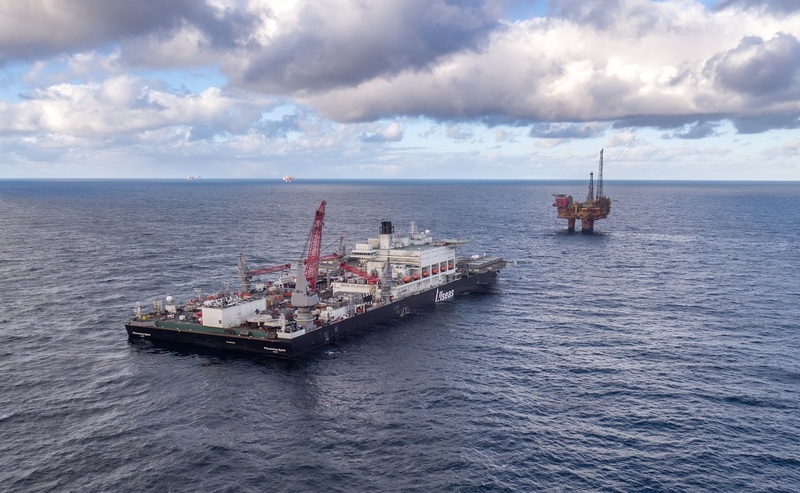 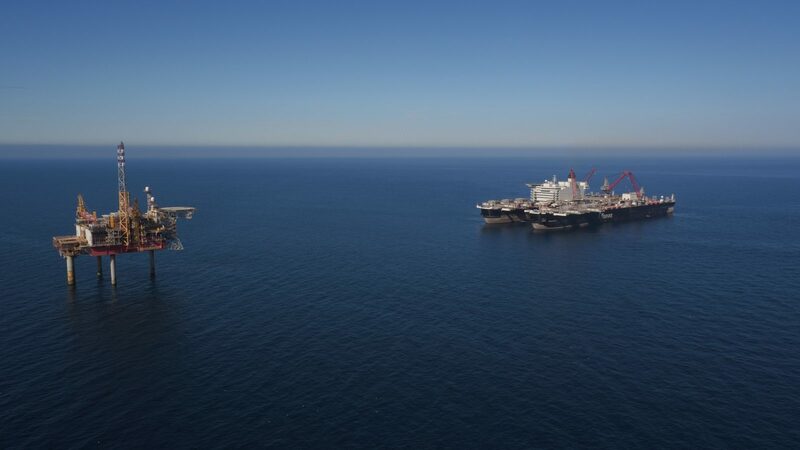 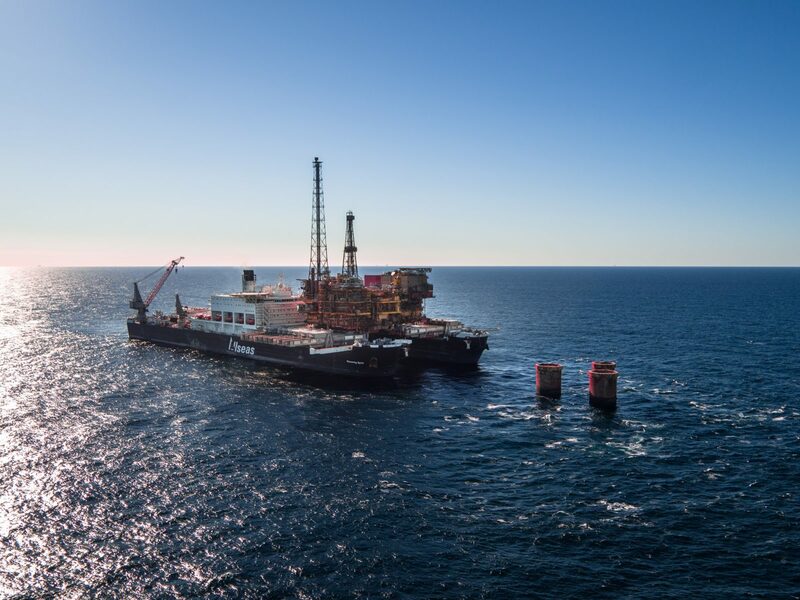 In June 2018 Pioneering Spirit executed the fastest installation of a large, fully completed topside, and heaviest single-lift installation to date, when it set down Equinor’s 22,000 t Johan Sverdrup DP topsides on its jacket offshore Norway. 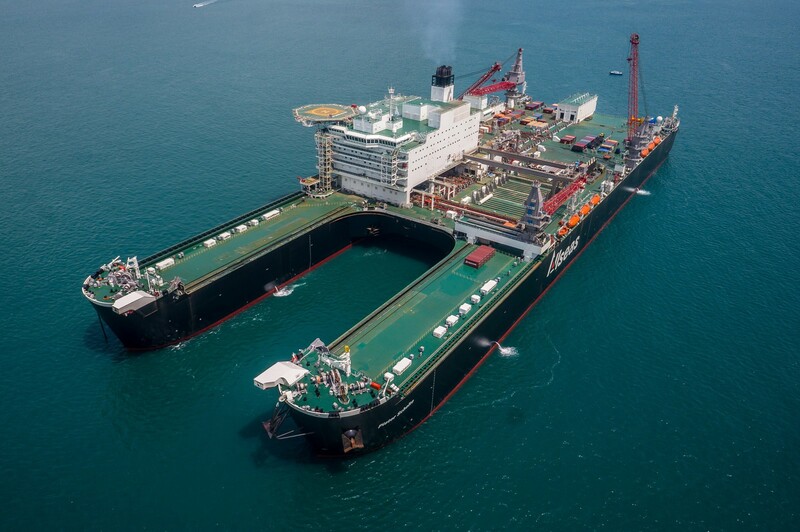 The twin-hulled vessel is 382 m long and 124 m wide. 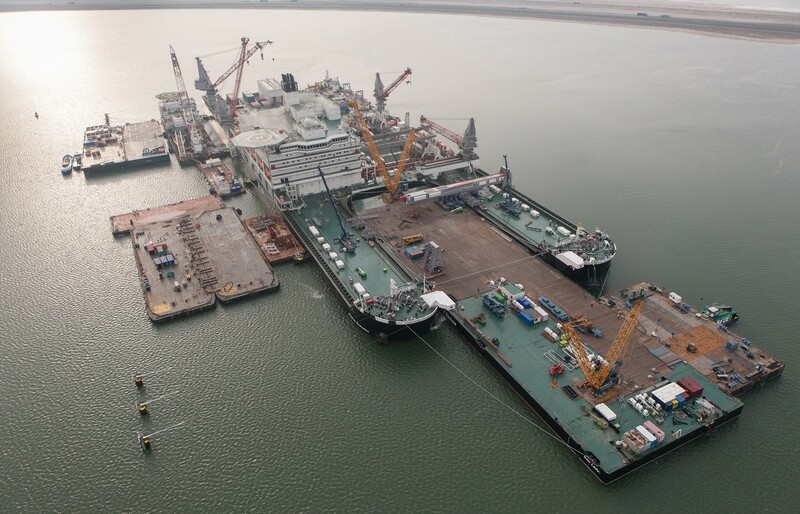 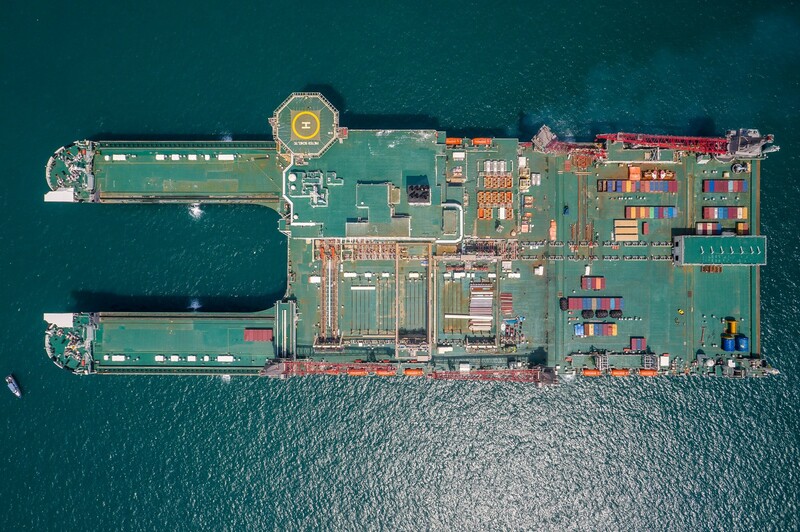 At the bow is a slot, 122 m long and 59 m wide, that enables Pioneering Spirit to move around a platform and lift and transport entire topsides using eight sets of horizontal lifting beams. 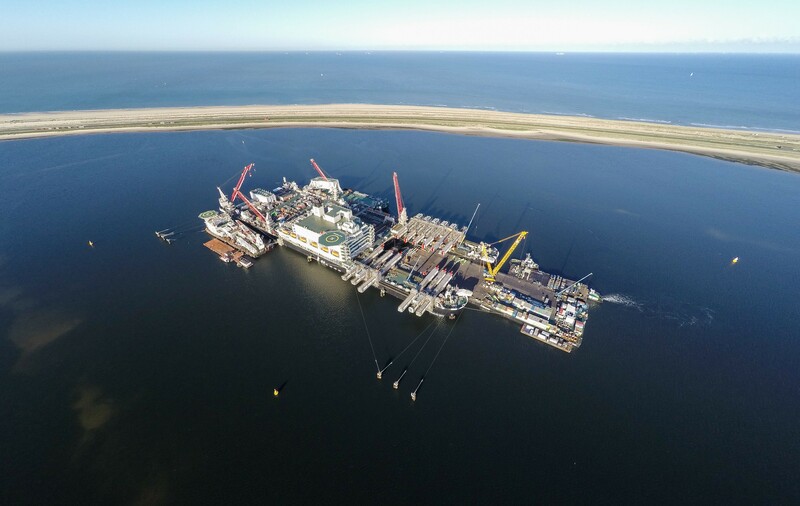 For jacket removal and installation, two 170 m long lifting beams, which can rotate on hinges, will be located at the vessel’s stern. 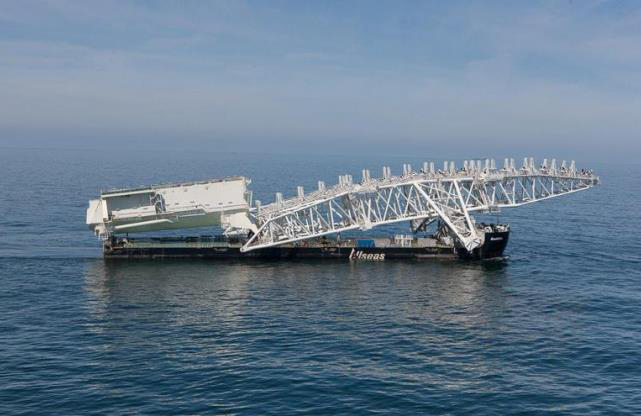 Complementing the lifting systems is a 5000 t special purpose crane for additional lifts such as lighter topsides and jackets, modules and bridges. 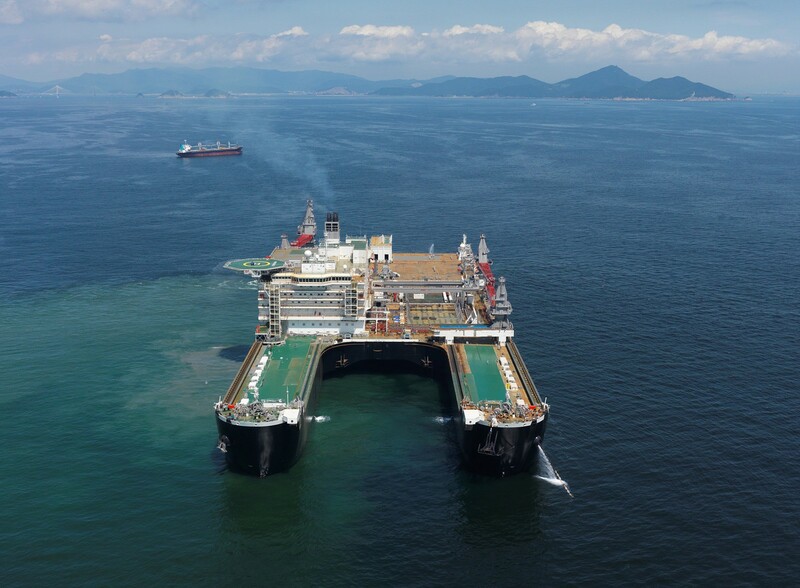 Pioneering Spirit’s large ship size gives her very good wave response behaviour, superior to semi-submersible crane vessels in operational wave conditions; topsides and jackets can be installed or removed in significant wave heights of up to 3.5 m. While the vessel moves due to wave action, all motions relative to the platform are eliminated by engaging the active motion compensation system, which enables Pioneering Spirit to make large lifts in hostile seas. 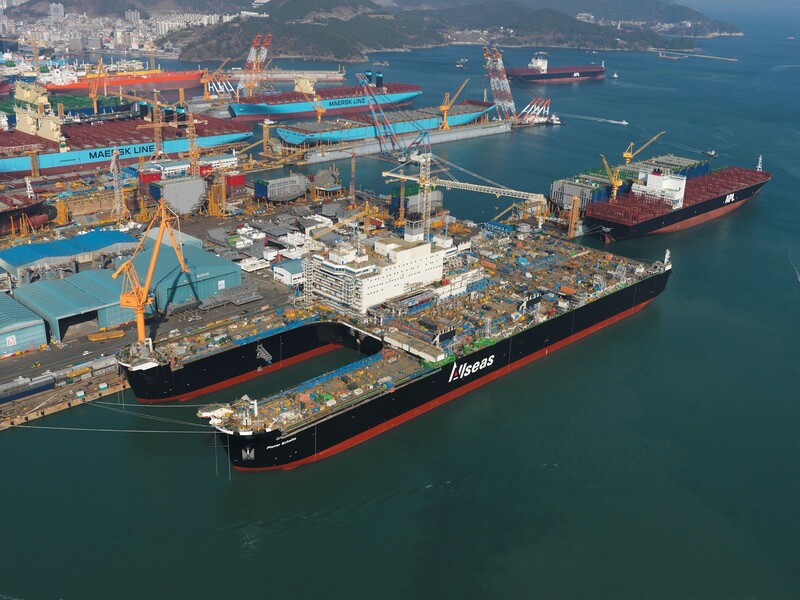 Eight diesel generators provide 95 MW of power, driving 12 azimuth thrusters for dynamic positioning (DP3) and propulsion. 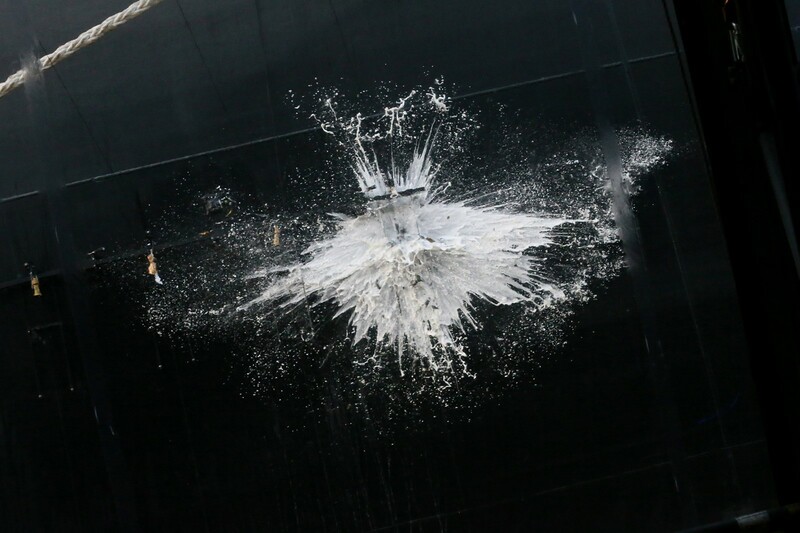 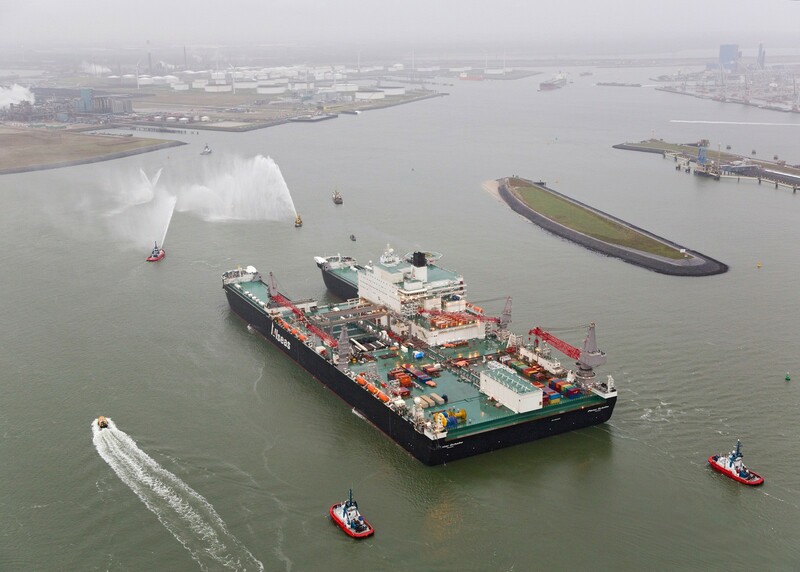 Pioneering Spirit’s can sail under her own power at a high transit speed, making her suitable for worldwide use. 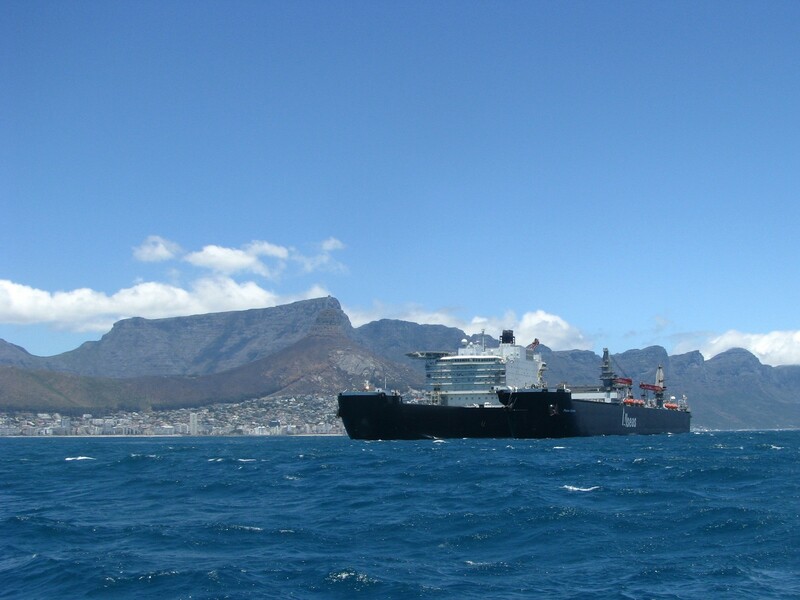 Operating on full dynamic positioning, she can work accurately in any water depth, while her light ice class will extend the periods in which she can operate in Polar Regions. 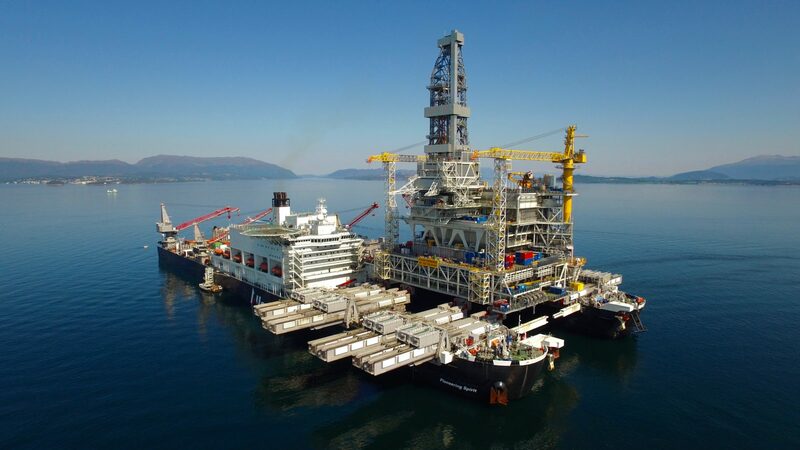 Also built to install record-weight pipelines in all water depths, with an S-lay tension capacity of 2000 t, she surpasses Solitaire as the world's largest pipelay vessel. 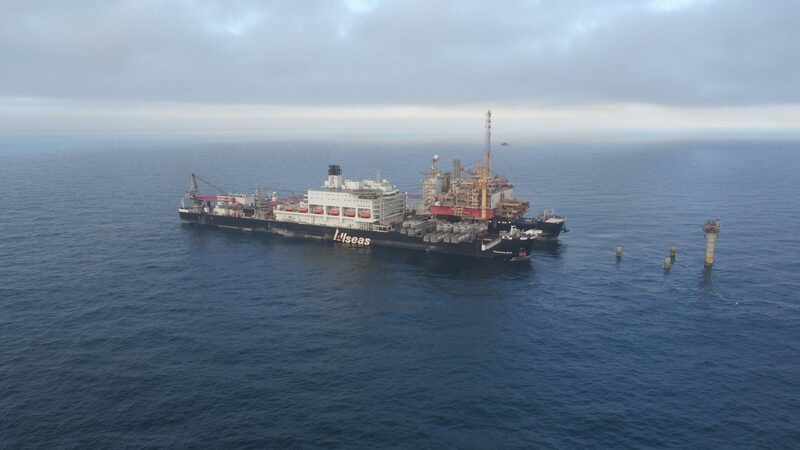 Pioneering Spirit commenced pipelay operations on the TurkStream project in the Black Sea in summer 2017. 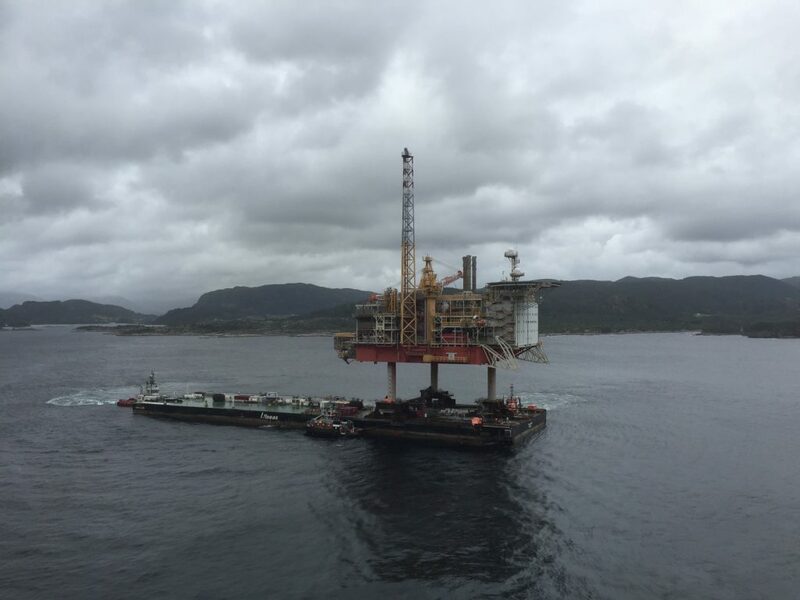 Despite laying 32-inch pipe at depths of 2200 m, she consistently averages 5 km per day. 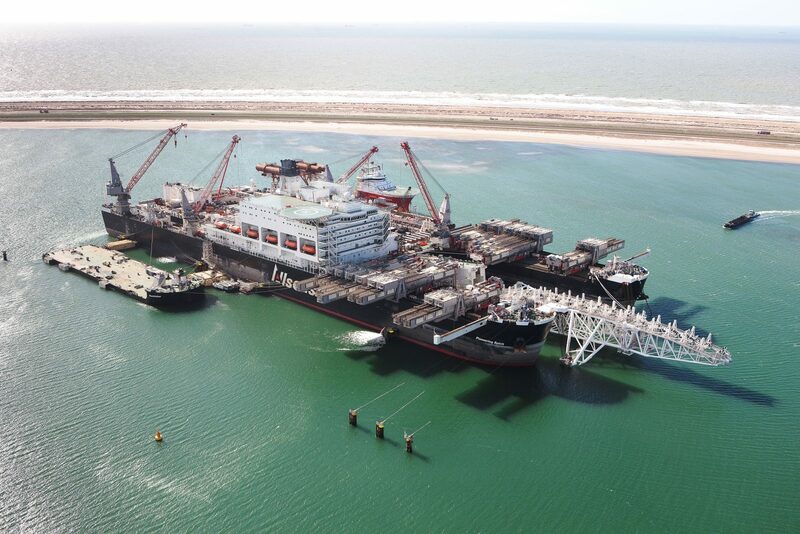 Never before has such large-diameter pipe been laid at such depths. 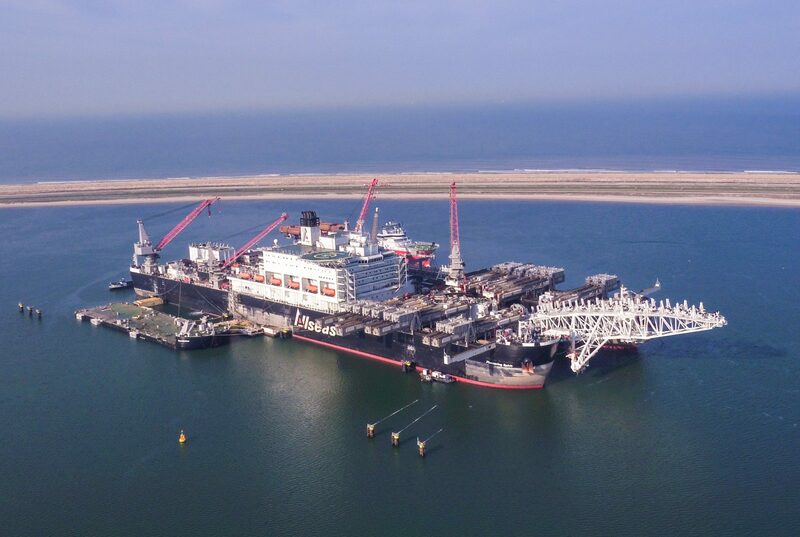 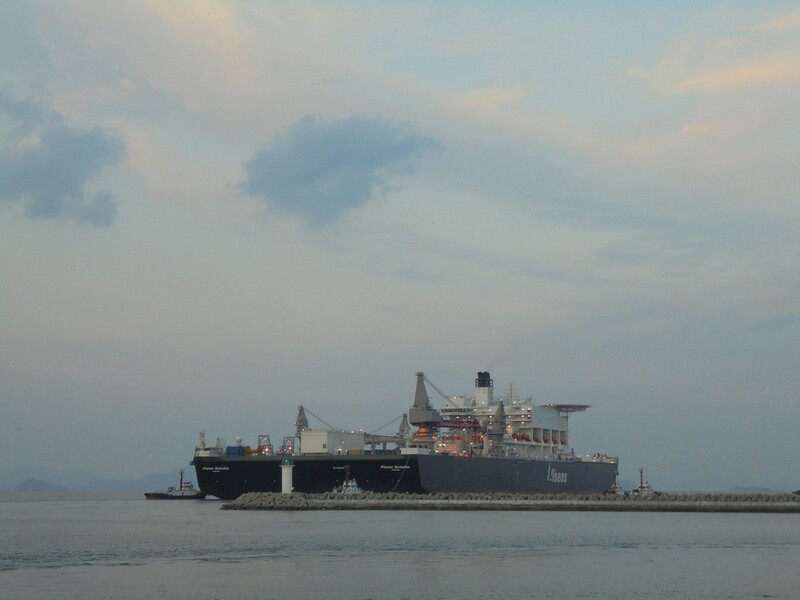 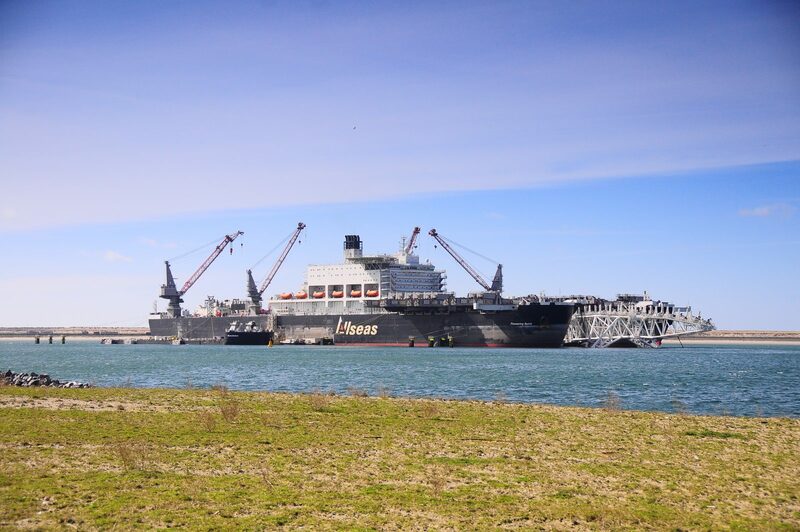 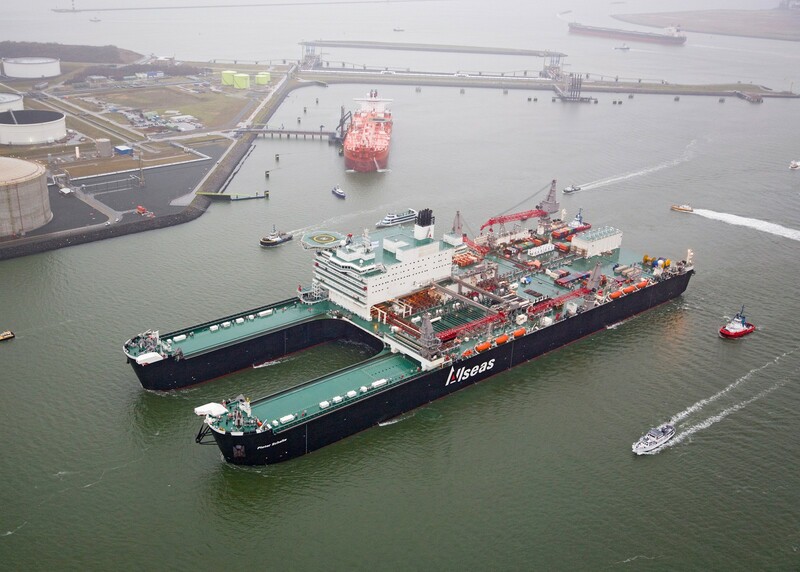 To transfer topsides to or from Pioneering Spirit, Allseas uses its 200 m long, 57 m wide cargo barge Iron Lady. 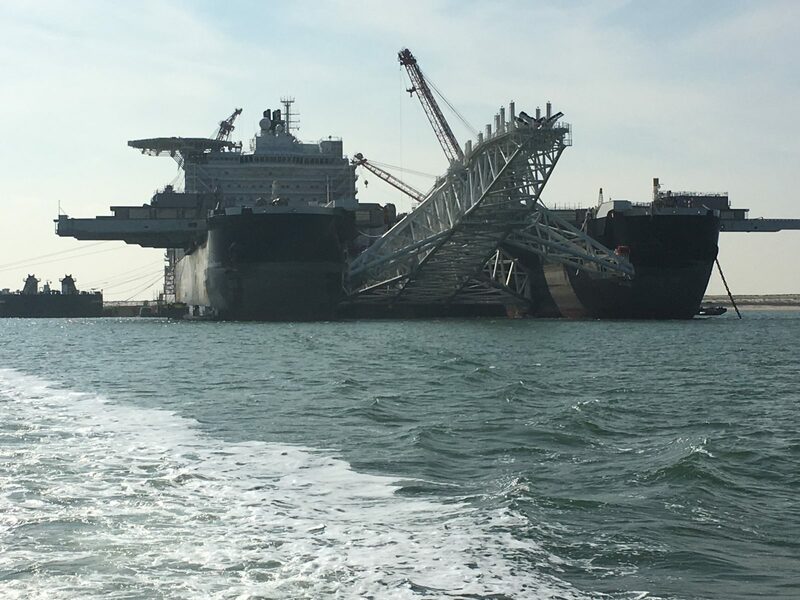 In case the water depth at the quayside is too shallow for Pioneering Spirit, topsides are first loaded onto the barge for transfer to or from the yard. 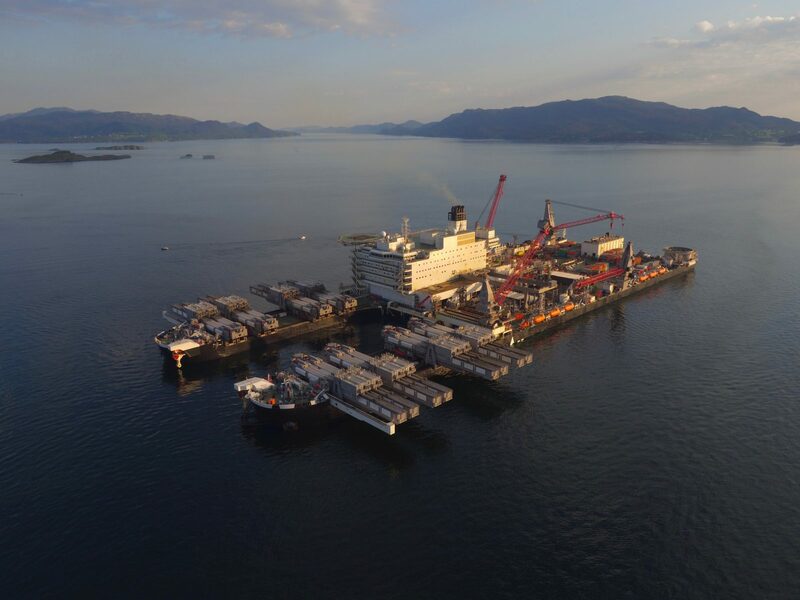 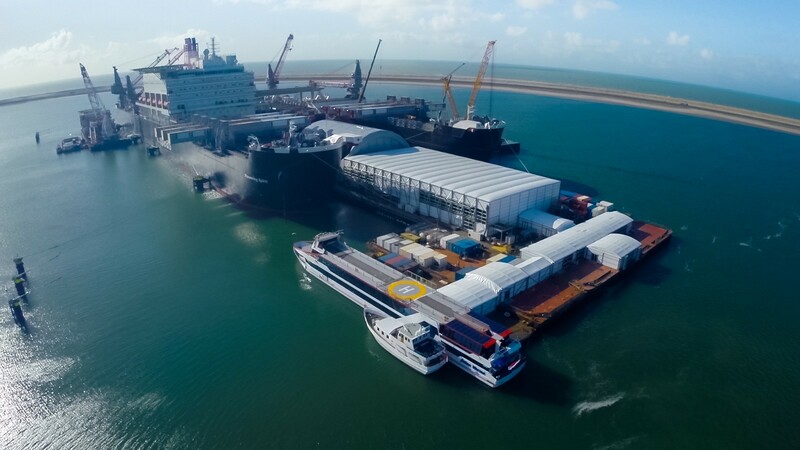 Topsides transfers between Pioneering Spirit and the barge takes place in sheltered waters close to the yard. 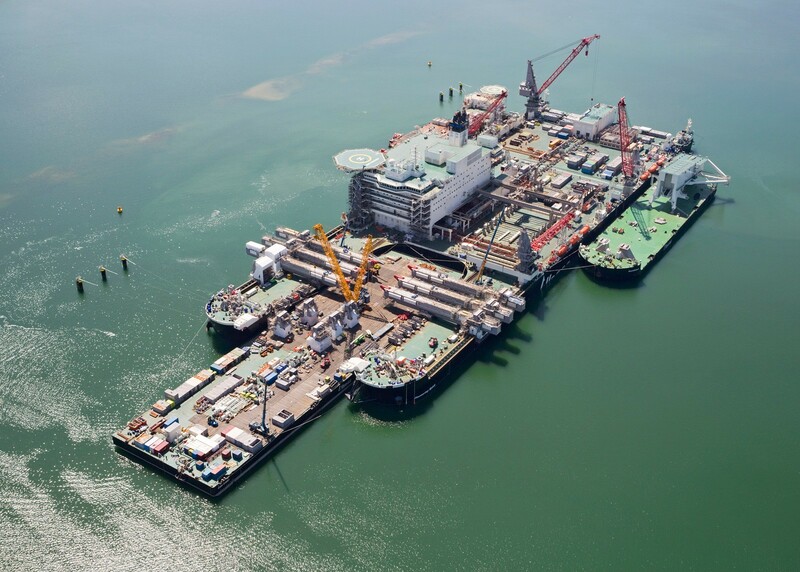 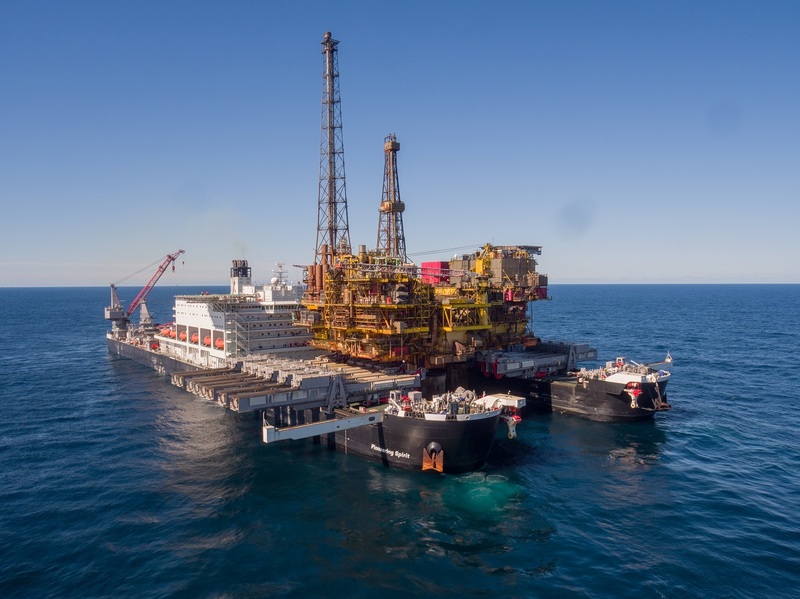 When Pioneering Spirit is required for topsides lift work, the pipelaying stinger is removed from the bow section of the vessel and stored on the purpose-built barge, Bumblebee. 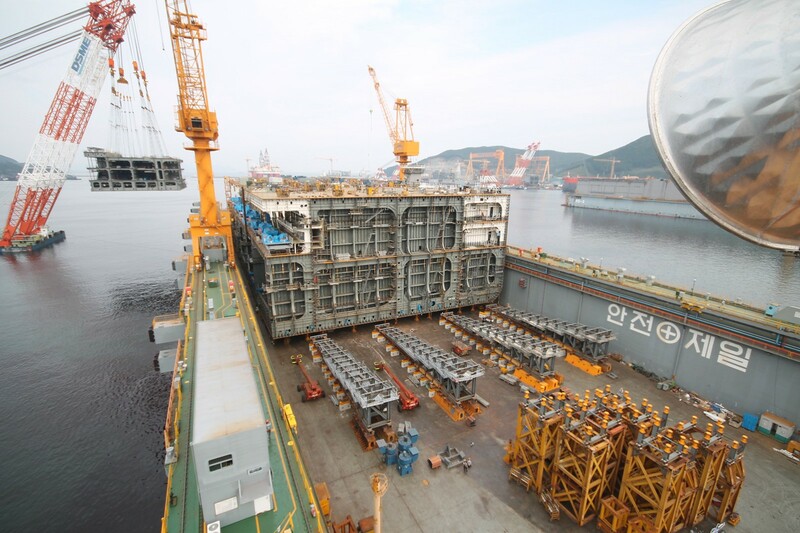 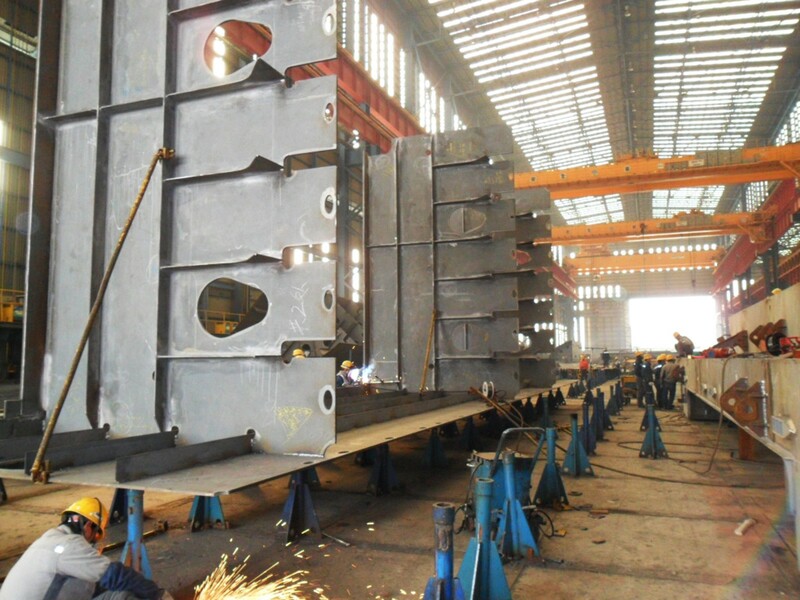 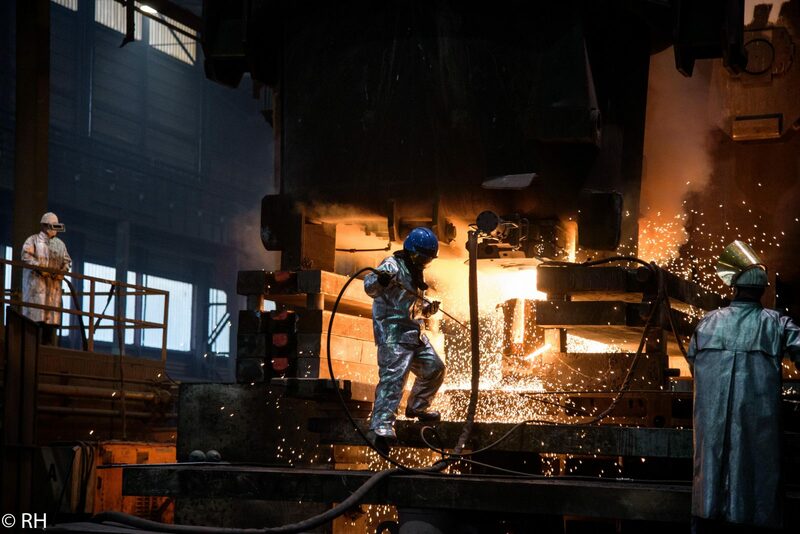 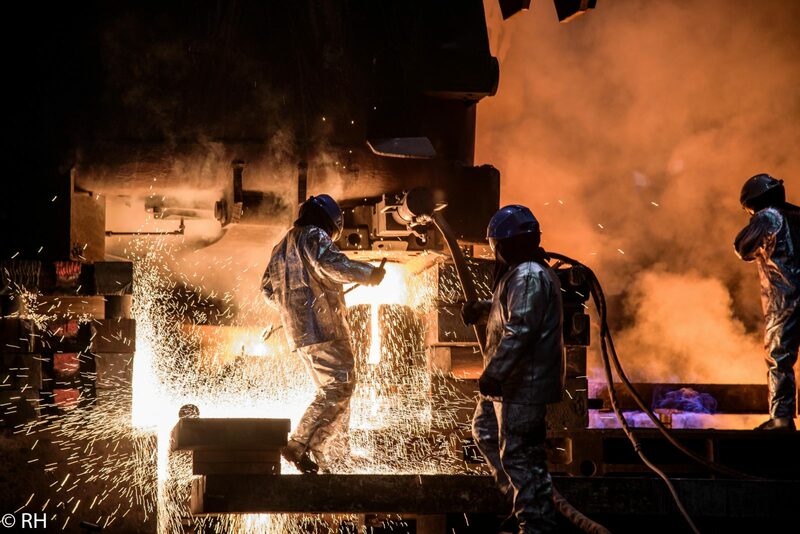 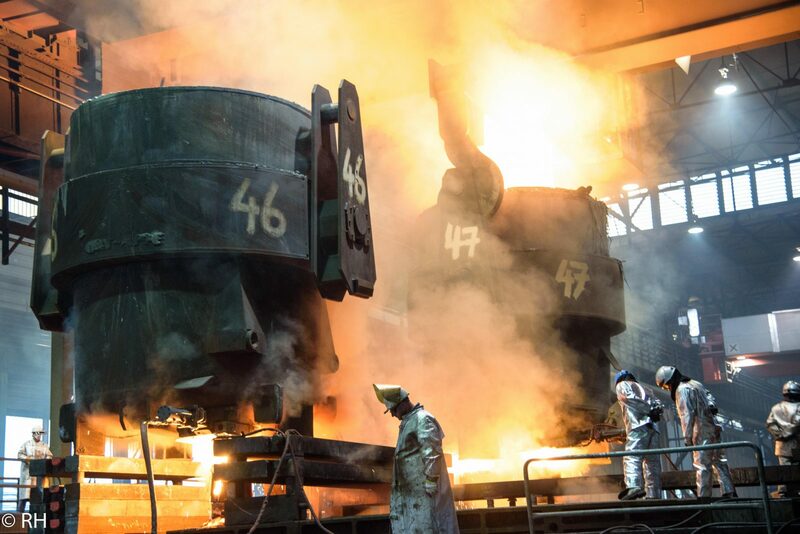 Production has started on key elements of Pioneering Spirit’s jacket lift system.